Interview magazine is no longer. Scratch that. The legendary publication has decided not to shut down as reported back in May and the newly unveiled relaunch issue is already available on newsstands now. To mark the occasion, the new team welcomes Agnès Varda — Andy Warhol’s very first cover star for the inaugural issue of the magazine back in 1969 — onto the retro September 2018 cover. Now 49 years later, the 90-year-old film director was photographed by Collier Schorr and styled by Mel Ottenberg wearing a bold Dries van Noten number. Unfortunately, our forum members weren’t pining for the magazine’s comeback. “Stinks to high heaven! As for the actual cover, looks very vintage. Nondescript, if you ask me. 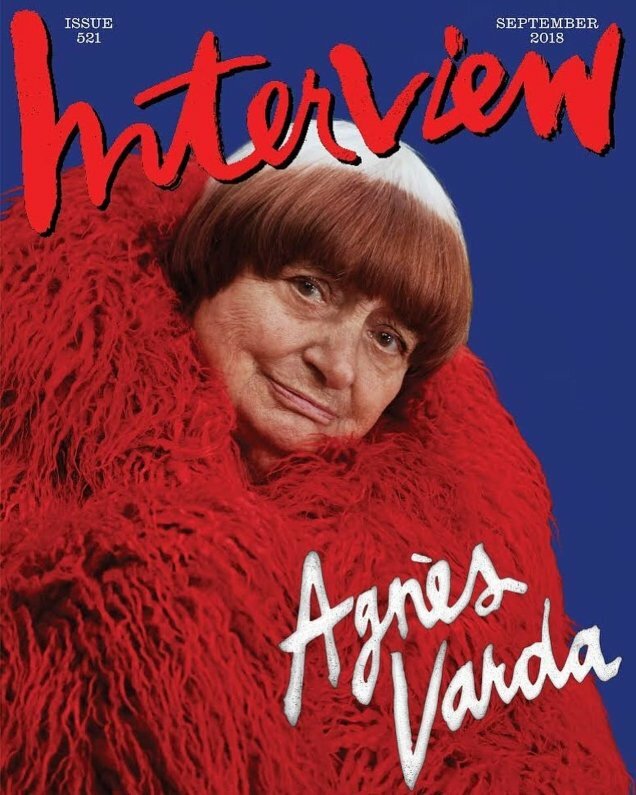 And I’m guessing the choice to give the cover to Agnès over Hari [Nef] was a strategic one. Who would pester Agnès, who probably doesn’t even know about the entire affair, about her involvement with this mess?” voiced Benn98. “I love Agnès. She’s a great artist and living legend. She’s better than this Frankenstein magazine and Collier Schorr. I’m still not buying it, and I doubt many others will either,” mepps added. “Sometimes it is better to stop everything and let people have good memories… I was done with Interview the moment Fabien [Baron], Karl [Templer] and Ludivine [Poiblanc] left it,” wrote GivenchyAddict. Miss Dalloway also won’t be rushing out to grab a copy. “Shame on them, and every single person who gets involved with the Brant family, and this magazine!” she said. “She looks like a muppet. Is she part of Sesame Street? Why is this photographer everywhere?” asked Perickles. “I’m so confused! Should I be happy or sad of this happening,” elle_gb wondered. Keen to see what the issue has to offer? Check out some previews and share your thoughts here.